The visitors took the lead in the ninth minute when Federico Higuain was played behind the home side's defence and rounded Raul Fernandez, his initial effort was cleared off the line by George John but his clearance hit Higuain and rolled into the net. 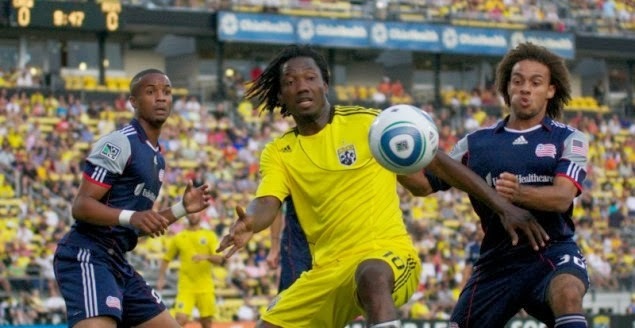 Columbus doubled their lead minutes later when Dominic Oduro raided down the right and crossed for Jairo Arrieta, who took a touch then volleyed the ball past Fernandez into the net. The home side got back into the game in the 19th minute when Blas Perez coasted into the penalty area down the left and blasted a low shot past Matt Lampson. Just before the break, Oduro was played one-on-one with Fernandez and he made no mistake slotting the ball into the bottom corner with his right foot. After half time, Dallas got themselves back in the game again as they took advantage of confusion in the Crew's defence and dribbled through a crowd of players before tapping the ball home. However, the visitors secured the win late in the game when Bernardo Arnor volleyed the ball into the roof of the net, after the ball fell kindly into his path. Both teams traded chances in what was a mostly-listless affair. Just after the half, Steven Lenhart's disallowed goal off a corner was the closest either side came to an opener. Upon replay, it appeared to be a harsh decision against the away side. San Jose went down to 10 men with 10 minutes to play, when Lenhart crashed into Chivas goalkeeper Dan Kennedy after the whistle had gone for a second yellow card. He had earned his first yellow in the first half for an elbow that sent Steve Purdy to the hospital. Despite going down a man, San Jose got the winner with just minutes to play. Alan Gordon fired a shot from distance that Kennedy could only spill right in front of him, and Wondolowski stole in to poke home the rebound for the game winner. With the win, San Jose moves to within three points of Colorado for the Western Conference's final playoff spot, with one more game played.